Dubai: The Dubai master-developer Meraas has unveiled a new brand identity that will unify all of its property and allied assets. 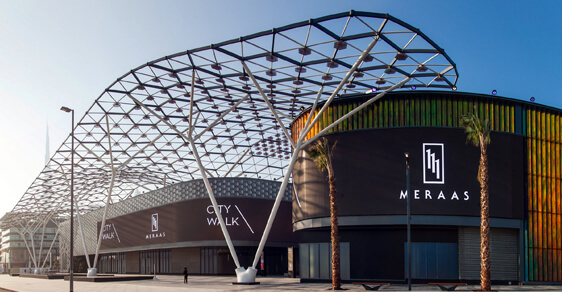 Meraas has been at the helm of destinations such as Boxpark, City Walk, The Beach and the upcoming Marsa al Seef, La Mer and Bluewaters. The company has also delivered The Outlet Village, Last Exit and locations such as the Hub Zero, The Green Planet, and Roxy Cinemas. It is also building the Dubai Arena, expected to be the go-to venue for music concerts, sporting events as well as other entertainment events. Meraas is also the majority shareholder of DXB Entertainments PJSC, the owner of Dubai Parks and Resorts. “Over the past eight years, we have done amazing things that amplify Dubai’s potential as a leisure, business and medical destination, as well as a city that champions innovation, education, tolerance, youth, and happiness,” said Al Habbai. “We are pushing the boundaries with experiences that have added new dimensions, touched people’s lives and changed the urban fabric of the emirate”. The new visual identity links the multiple concepts and destinations to the overall vision of the company. The reveal of the brand system is only the “first part of the roll out of the brand strategy that will happen during the course of this year”, the statement added.